Imagine! 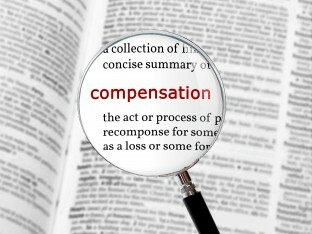 has a long history of adopting best practices when it comes to how we compensate our employees. I would like to share with all of my readers Imagine!’s philosophy and approach to salaries. Every year, Imagine!’s Human Resources team conducts a compensation benchmarking study for pay rates across the board at Imagine! – from front line Direct Support Professionals all the way to the CEO. Compensation benchmarking is the process of matching Imagine! jobs to similar jobs at other organizations to identify the market rate of pay. As this website points out, establishing market rates for core positions within an organization is important for a variety of reasons. First and foremost, it guides decision making for pay decisions including hiring, promotions, internal equity, and budget planning. A solid understanding of the external value of each position allows an organization to develop an approach for setting overall compensation philosophy, or the level at which the organization will set salary levels. The ability to balance the needs to attracting and retaining talent with fiscal responsibility of the organization is a key priority for Imagine!. 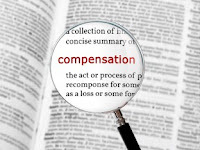 Compensation benchmarking provides us the information we need to define the costs associated with salaries and other compensation components. Imagine! uses a variety of organizations, some for profit, some not for profit, some governmental, and some in the human services field, to establish benchmarks and create salary ranges for the wide variety of positions at Imagine!. Of course, on the individual level, we need to be flexible and account for experience, tenure, and quality of work. Some employees may find themselves closer to the top of the salary range, while others may find themselves closer to the lower end of the salary range. We do offer what we consider to be a very generous benefits package. We can’t compete, salary-wise, with the for-profit world, and use our benefits to help to offset the smaller salary an employee (at all levels of the organization) accepts by coming to work here. It is the least we can do for the many dedicated people who work here not because they want to earn the most money they possibly can, but instead want to make a difference in our community and in the lives of others. We are open with what we pay executives at Imagine!. You can easily get that information yourself. Clicking on this link will take you to a page on Imagine!’s website, which in turn includes a link to the Colorado Secretary of State’s Official Search for Registered Charities and Fundraisers. Charities that solicit contributions in Colorado and their professional fundraisers are required to register online with the Secretary of State. The Charities and Fundraisers Registration program provides complete public access to these registration documents. The purpose of publicizing this information is to help donors make informed decisions regarding which charitable causes should be supported, to help maintain public trust in charities, and to help charities make informed decisions about contracting with paid solicitors. From those pages, you can find links to Imagine!’s and the Imagine! Foundation’s Form 990s. These are the federal annual information returns Imagine! and the Imagine! Foundation file with the Internal Revenue Service (IRS). The 990s also include salary (including benefits) information for the highest compensated employees at Imagine!. I consider our approach to compensation at Imagine! to be wise, fair, appropriate, and yet another example of our commitment both to our bottom line and especially to the people we serve. Finally, I want to state emphatically that Imagine! is committed to fiscal responsibility and good stewardship of the funding we receive from all of our many sources, and strive to ensure that the funding is directed as much as possible to serving individuals with intellectual and developmental disabilities. This commitment is fundamental to all of our staffing and compensation decisions, and is demonstrated by our low administrative costs (around 10% of our overall budget), and even more so by the fact that annual independent audits of our organization (which can be found on our website) indicate Imagine! remains financially sound despite the uncertain environment in which we work.